On this day, one year ago, voters said yes to alcohol sales in the city of Hodgenville. 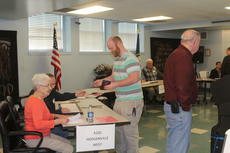 In 2017 Hodgenville Council member Lisa Reidner began a petition for a wet/dry vote. This controversial debate circulated around the community and turned into a special election held on April 17, 2018. The LaRue County Grand Jury Indicted seven people on Monday April 15. All of the acts listed are alleged until proven guilty in a court of law. 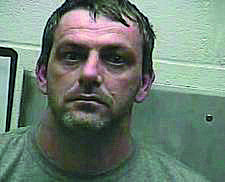 Christopher Farris, 37, of Hodgenville was indicted for complicity to receive stolen property by receiving a 2007 Lincoln Townecar Limousine, knowing that it was stolen or having reason to believe it was stolen. 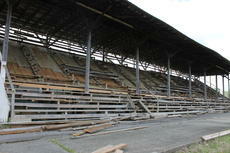 The alleged acts took place on February 21, 2019. Farris’ bail was set at $5,000 cash plus conditions. 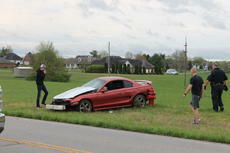 At 10:43 a.m. on April 12 the Hodgenville Police Department responded to 1170 Old Elizabethtown Road on a single vehicle collision involving a roll over. Investigation revealed that a Ford Mustang, operated by Branden Perdue of Elizabethtown, had exited the roadway for unknown reasons. The vehicle entered a large ditch and slid sideways rolling over and coming to rest after striking a fire hydrant. At 7:42 p.m. on April 10 the Hodgenville Police Department responded to 1006 Lincoln Farm Road on a multi vehicle collision involving a roll over. Investigation revealed that a Chevrolet HHR, operated by Darla Wilson of Buffalo, was crossing Lincoln Farm Road between Lincoln Drive and the Valero gas station. The second vehicle involved was an Infiniti G20, operated by Robert Clan of Greensburg. Mr. Clan was south bound on Lincoln Farm Road. 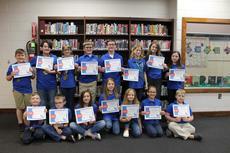 The April 15 LaRue County School Board meeting started by recognizing multiple students for their achievements. The first student to be recognized was Jada Hunter-Hayes who was accepted into The Gatton Academy for the 2019-20 school year. Hunter-Hayes is a 16 year old sophomore at LCHS. She has received multiple honors such as Sophomore of the year for cross country, she has been selected for HOBY, Select Preps, she is a cofounder of Innovative Females in Technology (IFIT), and had an Honorable mention at NCWIT. 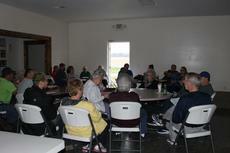 In a special called stockholders meeting of the LaRue County Fairgrounds, held Tuesday evening April 4, stockholders, current and past fair board and members of the community gathered at the fairgrounds property located at 375 S. Greensburg Street in Hodgenville. Those in attendance sat in a dark Morrison-Phelps building, as the electricity to the building had been disconnected due to non-payment. An Elizabethtown man who led multiple police agencies on a lengthy chase in February that ended in a field in Sonora was indicted Thursday by a Hardin County grand jury on four felony charges. Joshua Logsdon, 34, remains hospitalized at a Louisville hospital. He was shot multiple times after eight police officers fired at him about 30 minutes after a high-speed pursuit began Feb. 26, according to investigators.